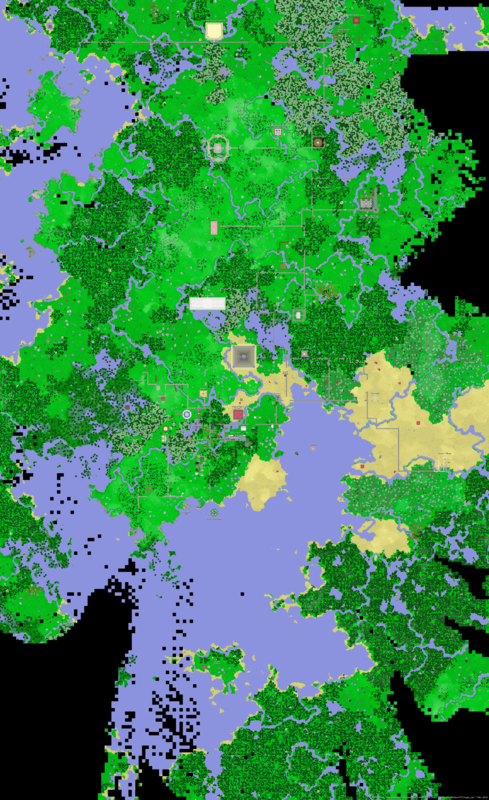 Posts from the old Minecraft blog, 51 Trillion Squares. Since on the previous two maps it was near impossible to label everything in the spawn area, I decided to crop it down just to Spawn and the area around it. There is… a lot here, some of which I didn’t recognize/remember, and even at double the size I still had a couple of places where I had trouble fitting in labels. I mostly wanted to have a spawn map so I could visualize the border of the building/modification ban, and the good news is I’m taking it from 200 blocks back down to 100, which is more than reasonable. Possible exception being that area in the lower right corner, as that space is empty – the other 3/4s of the square is quite full. So yeah, outside the red box please. When we last left your fearless leader, I was gleefully sorting through oodles of generated maps of ARBTServer and squeeing about finally having a world map after waiting a year and a half. I haven’t budged much from there, really. 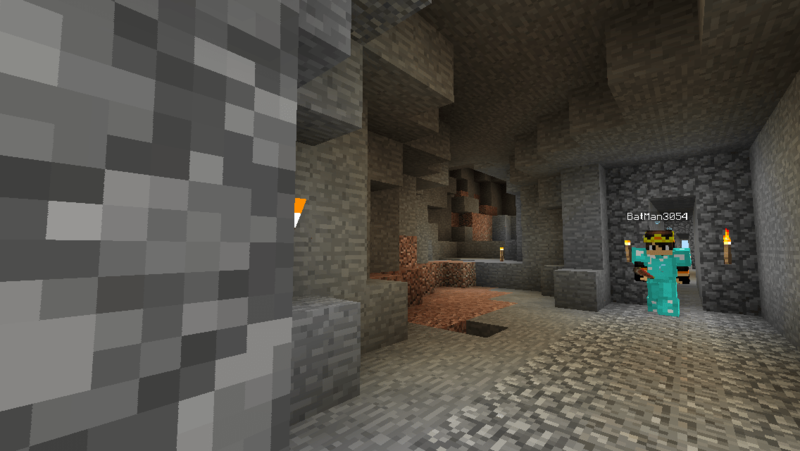 The interactive tools are really informative, since you can browse the maps by dimension, depth, etc once MCPE Viz crunches out all the pictures it’s capable of making. I really want to share ours, but unfortunately this means I’ve been spending large portions of the last couple of days cropping the generated overworld graphics down to a manageable size, because as generated they were well over 10000 pixels to a side and also well over 10MB a pop. Not exactly feasible – hell my husband’s brand new computer could barely handle browsing through these giant images and they were local to his machine. So I’ve been cropping them. The maps I’ve been showing around/ uploading skirt the dimensions of the known world; I figure when the builds edge farther than those boundaries we’ll start cutting it wider. The other thing I’ve been doing is rotating the images 90 degrees clockwise, because according to how they come out, the sun rises in the north in Minecraft. (Come to think of it, that does explain why coordinates nver did quite make sense to me.) I’ve gotten used to orienting myself according to how the sun behaves on Earth, so I’ve been flipping the images on their “sides”. Cheating perhaps, but my world my rules, and if I want North to point upwards, by the Pants of the Server Mama it will. The cropping and flipping process is tedious and slow because of the sheer whopping size of these pictures though – as it is I’ve only gotten from bedrock to “sea level” (lvl 62), though that may have been due to me looking at the level 62 map and thinking “ooh, continents.” Or at least very large islands separated by rivers? Anyway long story short, there was a complete gear shift in what I was doing, and after tweaking colors, labels, edges, typefaces and various Photoshop effects, I came out with this. Yar yar fiddle dee dee. When I was in middle school (back in the stone ages, practically) projects for history class often involved making maps or old fashioned letters by “aging” whatever paper we’d written or drawn on by first soaking it in old coffee, crumpling and smoothing it like 20 times, and then for that extra old document look, burning the edges with a match. That’s what I sorta wanted to evoke with this as well as it being a way to cover up the areas of missing/unexposed chunks. It didn’t quite mask it entirely, but it did work enough to get the suggestion across… and it looks awesome. BRB, changing my Facebook cover photo awesome, which says something considering the last time I changed it was when I finished Grand Central. But seriously though… I kinda want to get this printed and framed. More map stuff later in the week! August is drawing to a close and comes with several new faces from WSE, a blip with the website domain, and many amazing builds being built or just getting started on. 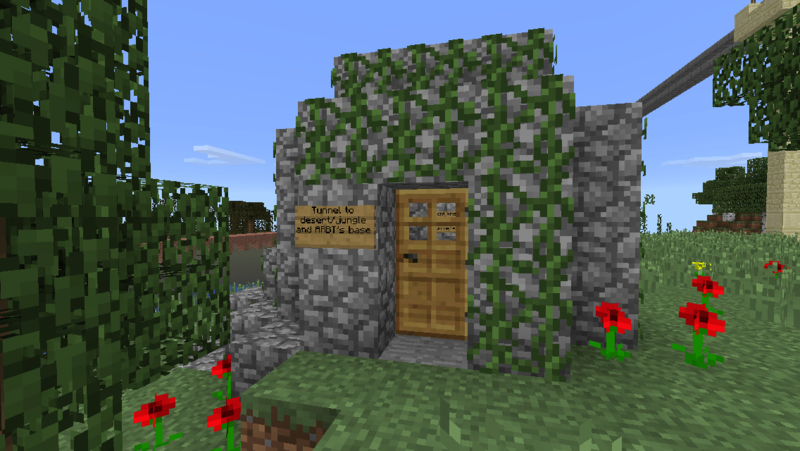 Today I would like to highlight, a cottage near spawn. The cottage was built by BatMan3054 and the farm was built by Swarmhut. I like the use of bricks as part of the path material, because it really pops against the green of the surrounding grass. I admire how the windows of the building are irregular and somewhat mismatch. 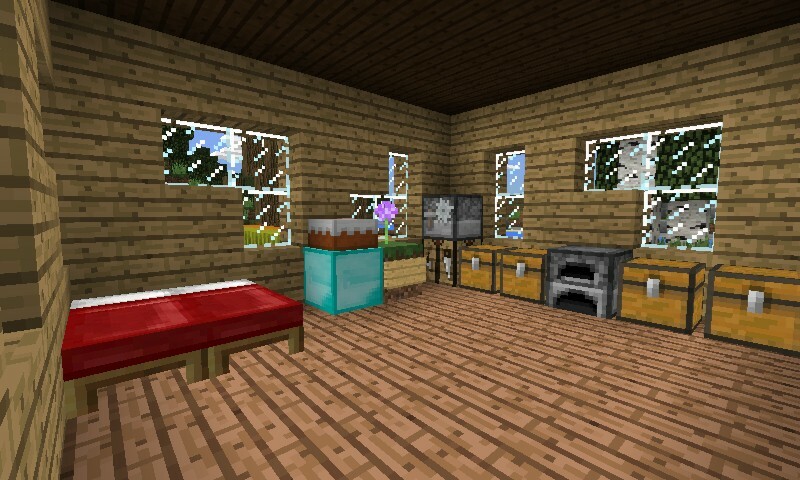 The windows of the house make it feel quirky. 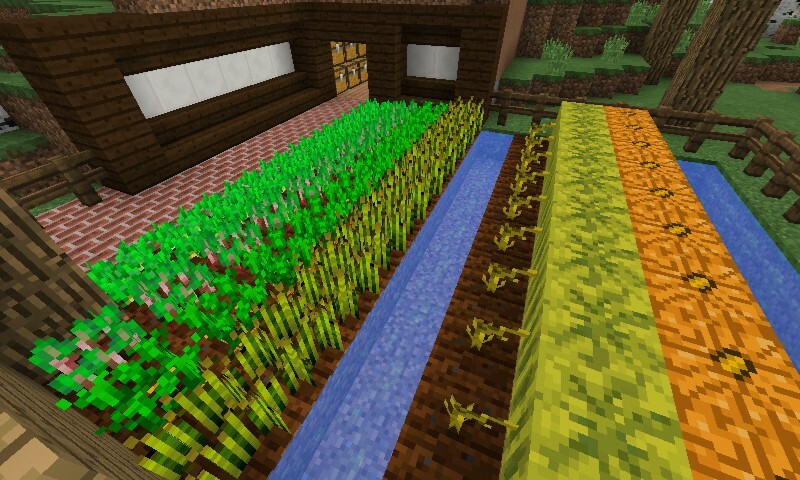 Stepping outside to the garden area features your basic crop setup and a outdoor shed. I like the use of the dark oak and the quartz as the retaining wall holding back the hill. The best part of the build in my opinion is the roof. The roof looks worn down and has a very natural slope to it. Well that’s it for this FBoM, until then keep on building. Update: Due to some miscommunication, I incorrectly identified Rudie as the builder. If the builder would get in contact with me, I will update it to the correct person who built this. We had a new face from WSE visit on Monday: welcome Kyster! There is now a road extension from the Pyramid, through the huge desert biome and ending at the village Hachi discovered a few runs back. 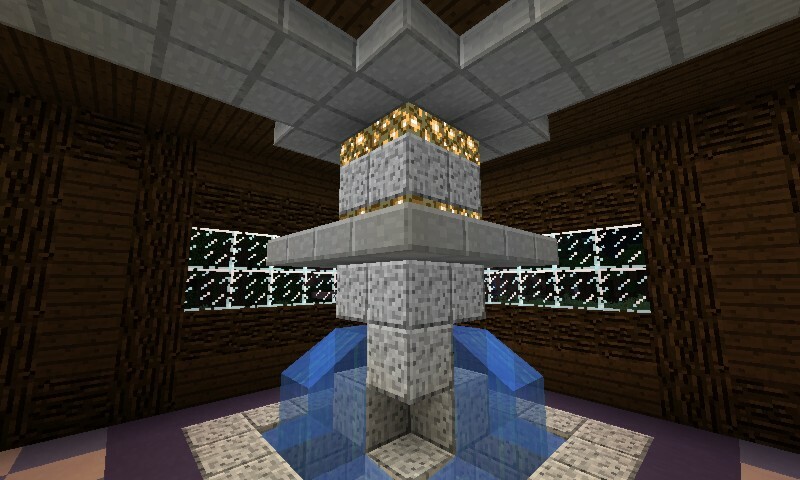 The ARBTServer monument has been extended, with two more spaces added for statues. May shove it out two more spaces just so ARBT lines up in the middle evenly again, haven’t decided. I’ve finished reskinning the hot air balloon. It is now a riotous rainbow. And the inside jungle has been growing nicely. While scouting coastline for a Mystery Build, I stumbled across Village #4 southwest of spawn. More roadbuilding in my future, no doubt. I have also started a Mystery Build a ways from Spawn. Lets just say last weeks’ trip to Martha’s Vineyard left me rather… inspired. 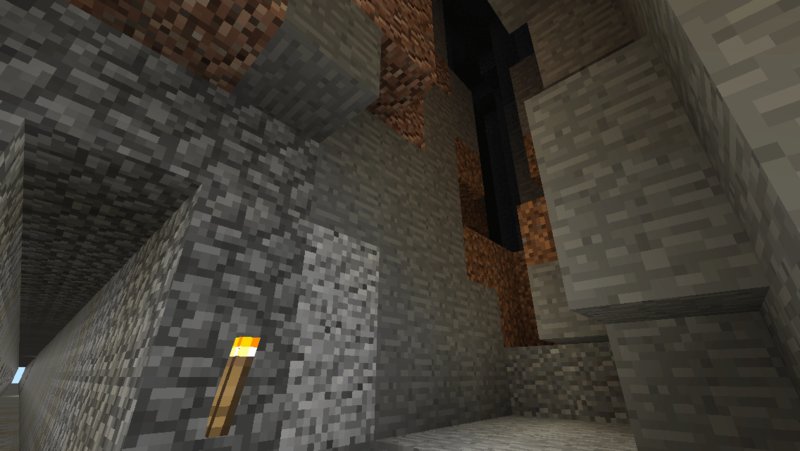 Speaking of which, the downside of the Nether coming in the next update is no more nether reactor. 🙁 I’m going to have to find a few spots for random netherrack spires just for the hell of it before it disappears entirely. Since /r/WorstServerEver started up a new map last month I’ve been hanging out over there whenever I’m not running game. It’s actually a really nice, laid back Survival server where people hang out, chill, build stuff and complain about chunk lag (which, being a pocketmine server, is kinda expected). I like the regulars there quite a bit, and there’s been a lot of cross-pollination between players there and players here, as DoublePositive, Batman5024 (? don’t know if I got the number right) FatalDeath, Hachi, and Umbrella_Hermit play there as well. Well. 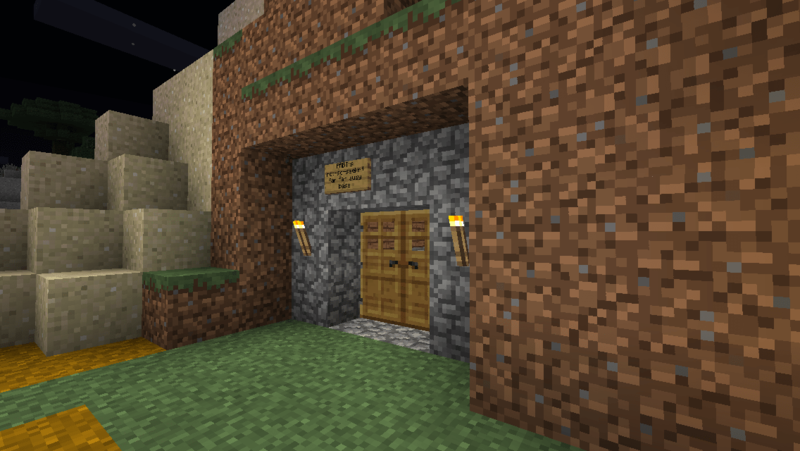 First thing one tends to do is find oneself a bit of unclaimed land and make a base. Except the area around “spawncano” is pretty densely developed/populated so I decided despite the chunk lag to walk pretty far out along one of the overpasses until it ended in a hill, then I walked down some of Skribe’s dirt paths until THEY ended, fell into a ravine (thankfully not a deep one) climbed out, walked some more, and found a hill at the border of a jungle biome and a desert to dig out a home for myself. I think I managed rather adequately. My not so secret far far away base! 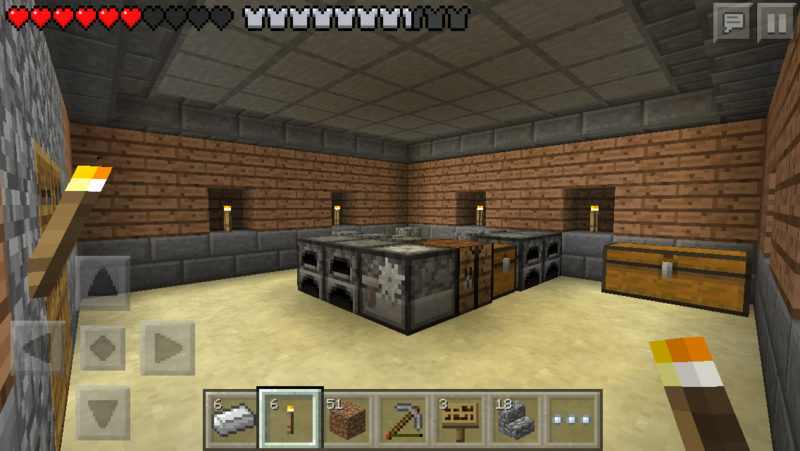 I’m not anywhere near done – I want to punch through the hill I’m colonizing eventually and build a log cabin style house above the main room, in similar style to Spawnhouse on my world, which got built almost exactly the same way. 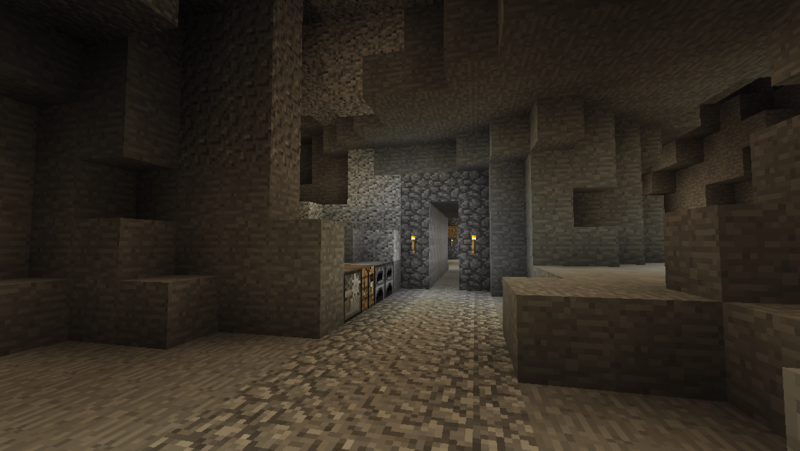 I also plan to continue with the layers of cobblestone basements, which hearken back to similar dig-out-and-redecorate-in-cobblestone style mines I tend to make on almost every server I have. It actually doesn’t quite look like this anymore – I decided to expand each of the basement outwards after I took these pictures. 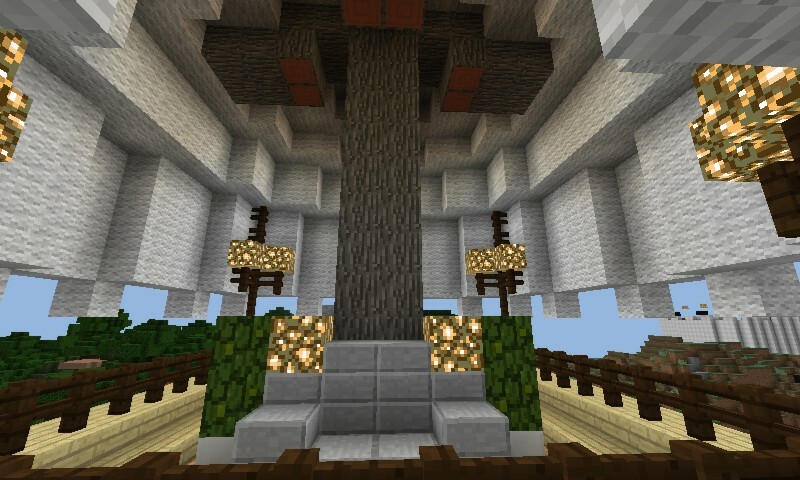 Anyway this is all very nice but it was near impossible FINDING it every time the server rebooted – there was a lot of wandering around, getting lost, and trying to figure out which acacia tree at the border of an unloaded chunk was the one I had to pass. 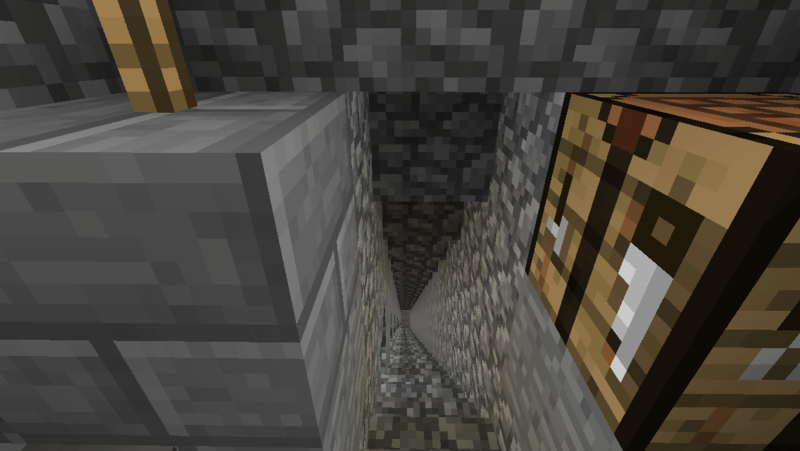 So eventually I got annoyed with it and decided you know what… I’m going to dig a tunnel back to spawn area so that I can just run that way to my base. 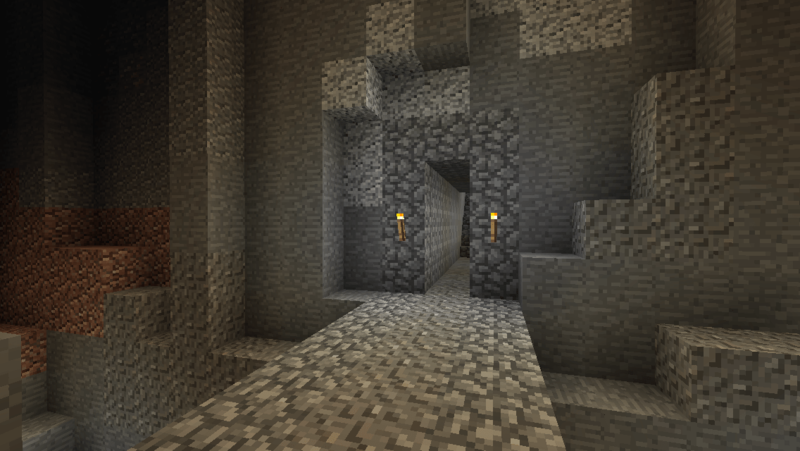 So I took some coordinates, changed my job to “miner” and got busy digging, and once I’d dug a path all the way through, I lined it in cobble, torches and gravel, because y’all know me and uniform tunnels. So starting with this tiny cobble building on the shore of the swamp a ways behind Hachi’s house (you know the place)*, here is my weird and wonderful path home. 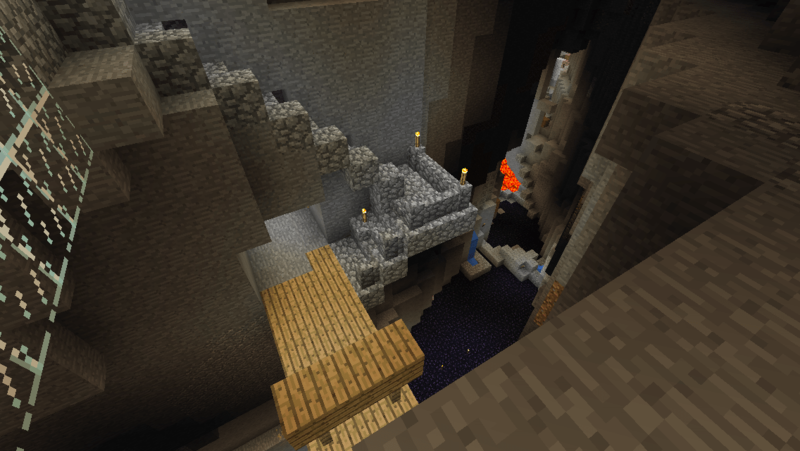 This server has a lot of ravines…. 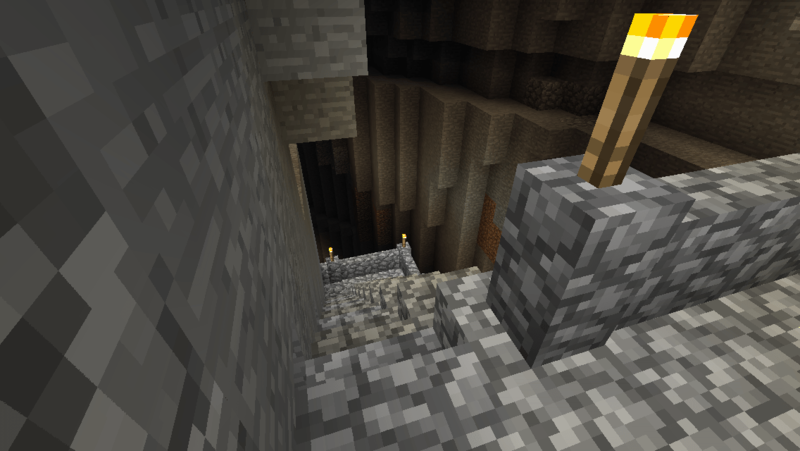 As July is coming to a close, with it comes exciting news from Minecon, a redesign of the subreddit and many of fun server runs. FBoM is in its 2nd month and is here to highlight Hachi’s base. 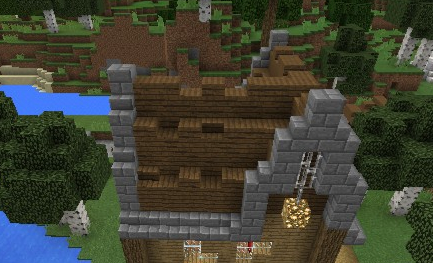 The first thing I like about this build is the bottom floor with the checkered pattern used on the bottom floor. 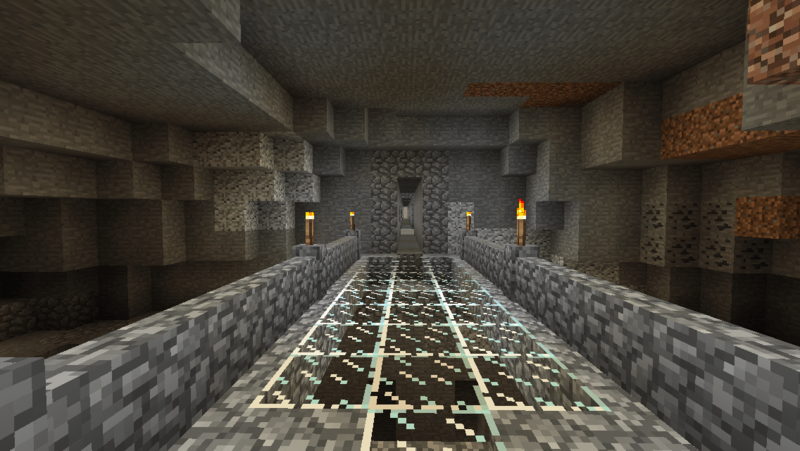 The diorite fountains are a nice touch, because they contrast well with the blue stained clay. Going up the large staircase we enter the main room that houses the bedroom, a living room and a small bathroom. A nice detail that is present is the small canopy above the master bed. Going up to the top floor opens up into a rooftop balcony great for watching the sun rise/set. If you want to check out Hachi’s base for yourself, it is located near spawn, behide the farm. You will need to go past my base to locate it. Server news, and the Eating of Us by Hai. I ran back to back Sunday and Monday this week, though each run had its own problems to contend with – Sundays was entirely beset by external factors (a movie mid afternoon, a cable service disruption) while Manday’s (what few they were) were entirely game related. But more on that later. Over the two runs, 576875 continued working on Troll Village improvements, namely working on adding a tavern to it in the same style. 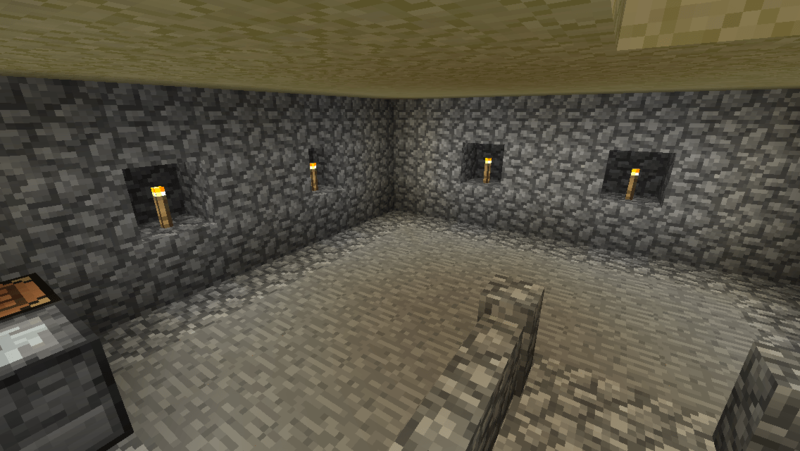 Henry10030 added an good exchange tent over his underground base near spawn. Double Positive experimented with his DATS roads. We were visited intermittently by Batman3054, Hachi and Umbrella_Hermit. Swarmhut, as far as I could tell, first mainly flitted around assisting people before leading the remaining players in some rousing sign-language Disney karaoke. And then there was the fire, lol. Batman swears it was an accident, and I believe him, having had several fire/lava mishaps myself in the past. I think he was trying to clear a bit of land away and the fire got through the wall he put up to block it and ravaged about in the forest next to Spawn. between the fire spreading and the water needed to contain it lag was a major problem both for the players and for the firefighting, so I made an executive decision and booted everyone out so I could take the fire down quicker. It did indeed get handled after a frantic ten or so minutes and came within catching distance of the log cabin in my last post, but ultimately once the mess was cleaned up no builds were lost and not much was destroyed other than tree cover, which can be easily re-seeded. I don’t think I’ll build a memorial tower to this fire, especially as Bat felt bad enough about it as it was, but i note it here for server news posterity. Lastly I mentioned this on Reddit, but have yet to here: ARBTserver is on official hiatus until August 3rd due to impending vacation with the family. There is some good news aside from that – my desktop was been partially resurrected tonight and I hope to get it mostly recovered and running before I leave. I probably won’t have time to get any kind of hosty situation going, but it does mean that I’ll be able to work on it immediately on my return, so wooooo for that! With a somewhat secret sunday run, I decided to continue pecking away with my village project. Unfortunately while preparing for 0.12 in my own world I forgot about making some buildings for the village. 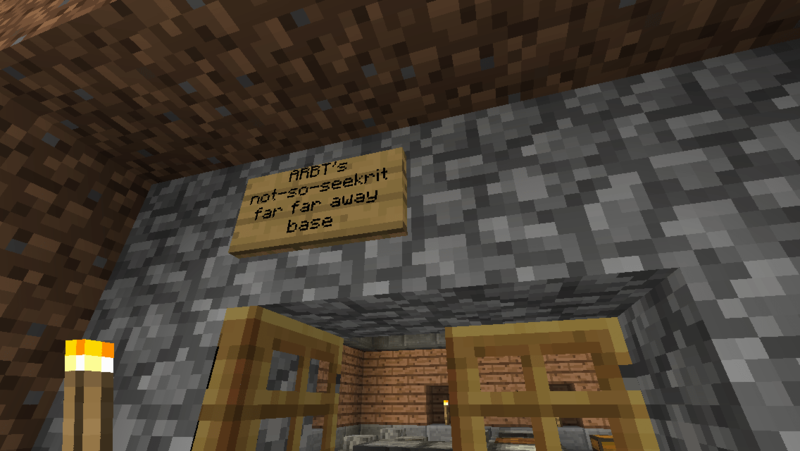 So I asked ARBT for some suggestions and she replied with a suggestion for a tavern. So I took the idea and see what I could do with it. This is what I have come up with. 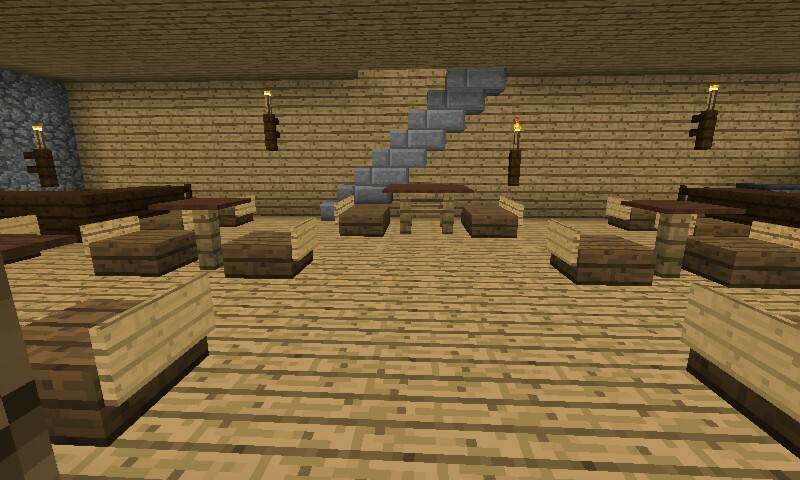 Entering the tavern leads us into the main seating area with a bar and grill in opposite corners. where do those stairs lead to? But now by now you are wondering what those doors are on the back. Well go up those stairs and see. They are guest rooms. The middle room is a bit tricky to get into. The top floor has a balcony offer a nice view of the village as whole. Something I noticed while flying over the village as a whole is that someone, maybe ARBT’s stepkid, fixed the steps to the villager houses. Beforehand they were in the way of the path. Additionally I added a small villager style pumpkin farm for future building of iron golems to help protect the villagers. In the end, I am happy to say that I am finished with fixing up this village.